(l-r) Pierre Blayau, CEO SNCF Geodis & Chairman of Geodis; Rutger Jonker (Team Netherlands); Martin Henriksen (Team Nordic); Steven Pike (Hong Kong); Raj Kiran Pant (India); Kim Pedersen, Executive Vice President, Geodis Wilson. Geodis Wilson honored its employees who have shown particular creative prowess as the company announces the winners of its annual Innovation Masters Award recognizing outstanding internal innovative initiatives throughout the logistic service provider’s global network. 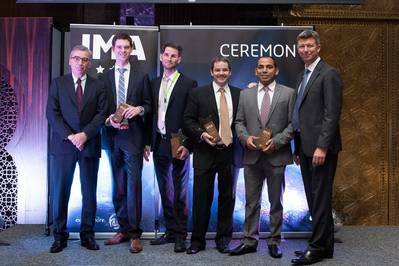 The Innovation Masters Award (IMA) is Geodis Wilson’s internal competition designed to stimulate innovative thinking and to improve the performance, processes and products of the Company. The program was initiated in 2011 in order to enhance Geodis Wilson’s aim of becoming the most innovative trendsetter in global freight management. • From The Netherlands Cynthia Liauw, Erik Goosens and Rutger Jonker for their Milestone Scan Events project which is about linking the milestones automatically to Geodis Wilson´s track and trace system. • Johan Karlsson, Martin Henriksen and Peter Riis Rasmussen from Sweden and Denmark who proposed the development of Package Scanner APP that can be used via smartphones. • The Hong Kong office’s Steven Pike for his initiative, the Next Gen & Axapta Reporting Department that should centralize and standardise reporting. • From India Raj Kiran Pant’s 24x7 Customer Care idea for an increased customer satisfaction received the fourth award. The entry and subsequent selection process began in September 2012 and included over 250 submissions. 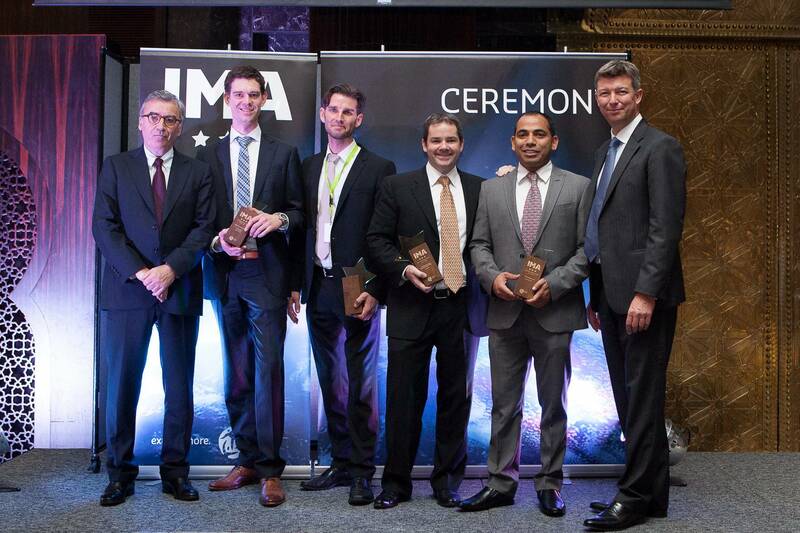 These were whittled down by the regional judging panels to a shortlist of fifteen finalists before the ultimate winners were chosen by the executive board members and previous IMA winners.